Holidays are the perfect excuse for a little champagne, or prosecco. Fancy dresses, sparkly drinks, decadent desserts. They all go hand in hand, and make me think of Versailles. Or at very least any of the party and/or shopping scenes in Sofia Coppola's Marie Antoinette. 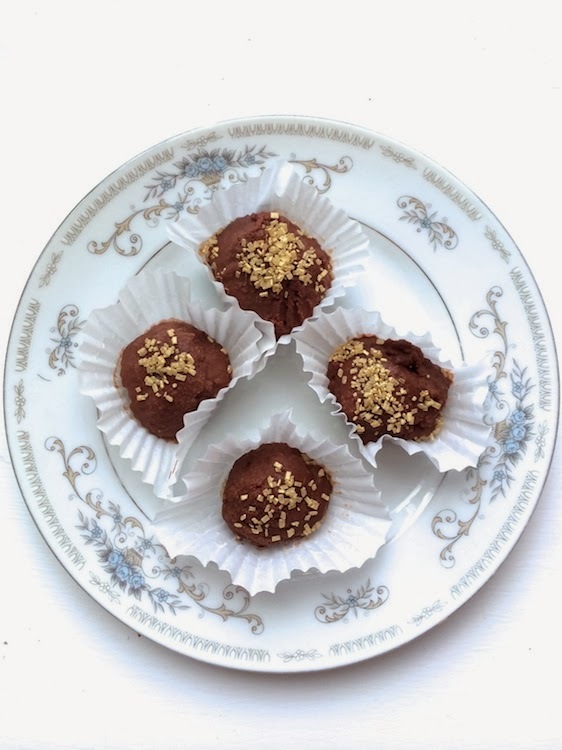 Very recently, it was suggested that I make champagne truffles for the holidays. The perfect treat for a New Years party. So I did a little research and adapted a recipe of Martha Stewart's. Bring the heavy cream to a boil in a small saucepan over medium heat. Remove from heat immediately. Place chocolate in a separate bowl. Pour the cream over the chocolate and let it sit for a minute before stirring. Stir the chocolate and cream together until smooth. Add the champagne and stir until thoroughly mixed. 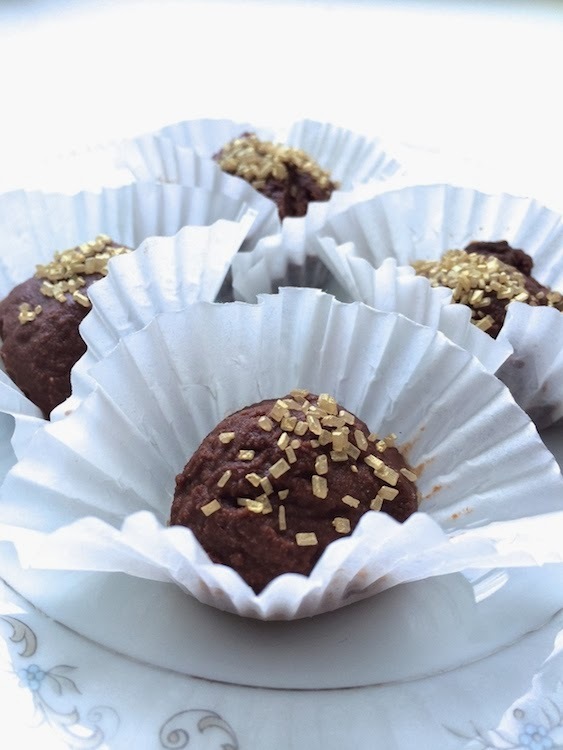 Once firm, use a melon baller or teaspoon to scoop out truffles. Roll into a ball, about 1 inch, and place on a baking tray or in a tin lined with parchment paper. This time I to used mini baking cups to make serving a little less messy. Sprinkle with decorative or coarse sugar. Refrigerate for 30 minutes or up to three days before serving. * I decided to use a brut, since I was concerned about the truffles being too sweet.